There is no better kitchen utensil than a cast iron skillet. You can use them to make breakfast, desserts, breads, and so much more. Being the Pinterest fiend I am, I was so excited to find all of these delicious skillet treats to share with you. Duck Cassoulet. Duck is already a delicious treat, but cooking it in a skillet makes it even better. Crispy Skin Roast Chicken. 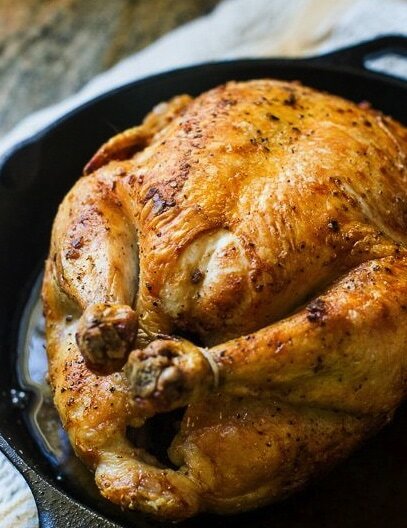 Did you know you can roast a WHOLE chicken in a cast iron skillet? Well now you do. 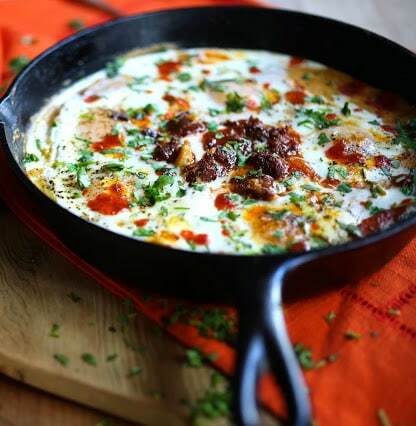 Polenta Skillet Eggs and Chorizo. There’s no better way to start the day than with a good breakfast. Bonus points if you make it in a skillet like this recipe. 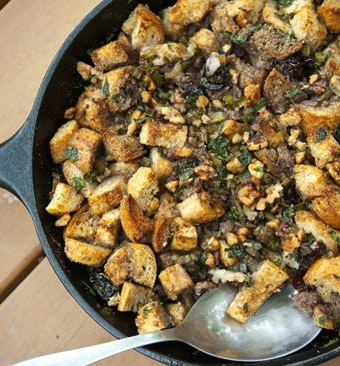 Skillet Stuffing. You don’t have to wait until Thanksgiving to eat stuffing, just pair it with your favorite meats for a scrumptious meal. Skillet Fondue. 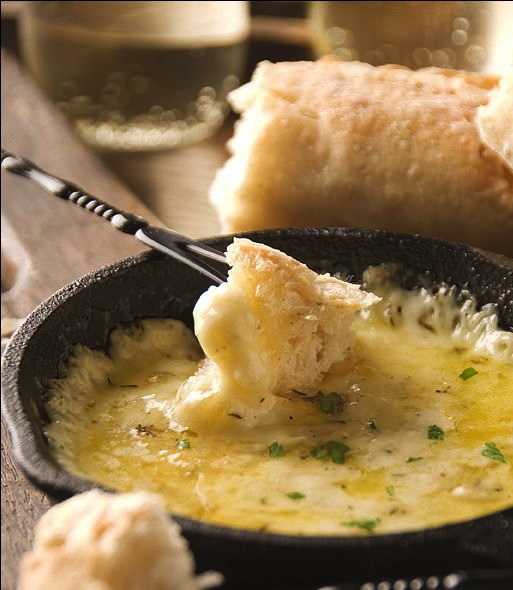 It’s basically a bowl of cheese just for you. You’re welcome. 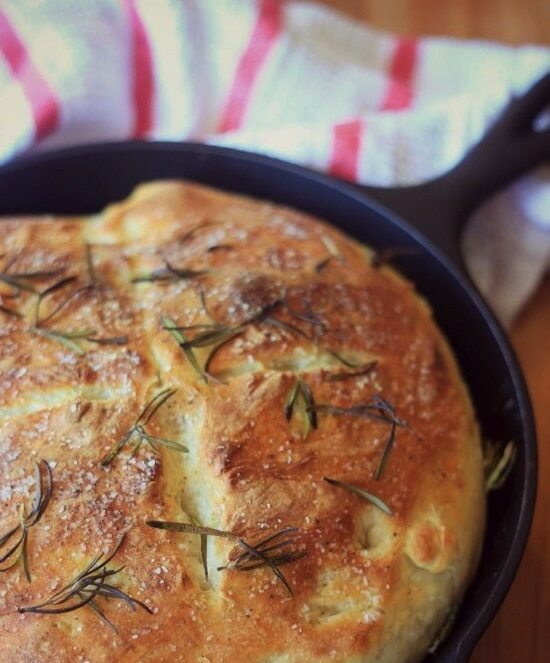 No-Knead Skillet Bread. Do I need to repeat the NO KNEAD part? Sounds delicious. 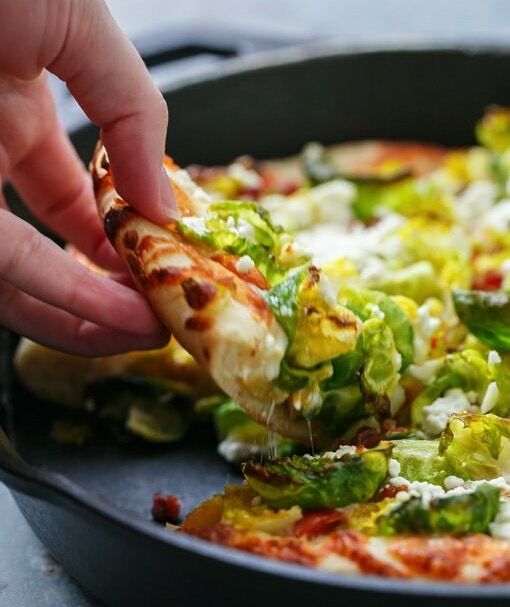 Goat Cheese and Brussels Sprout Skillet Pizza. 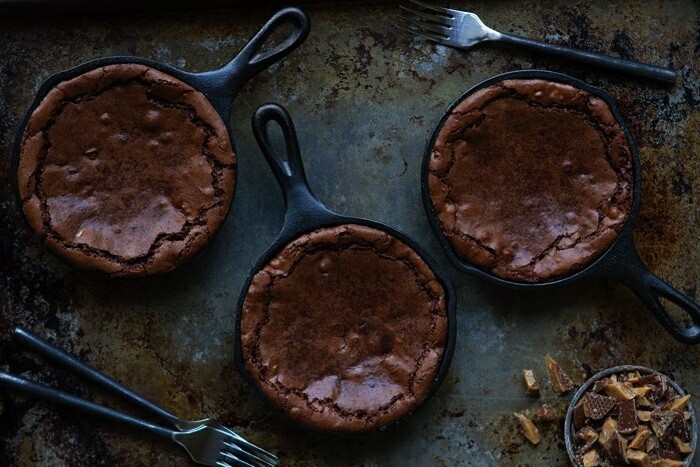 Take two of my favorite things, pizza and a cast iron skillet, and create this yummy treat. 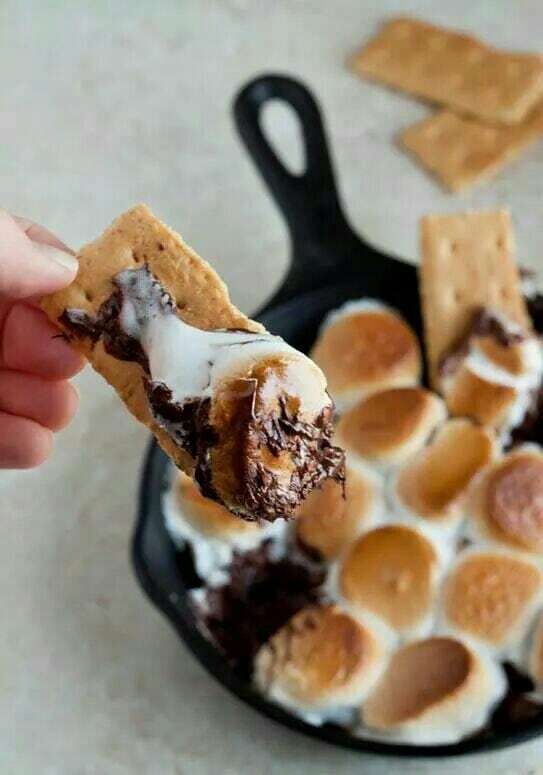 Skillet Smores. 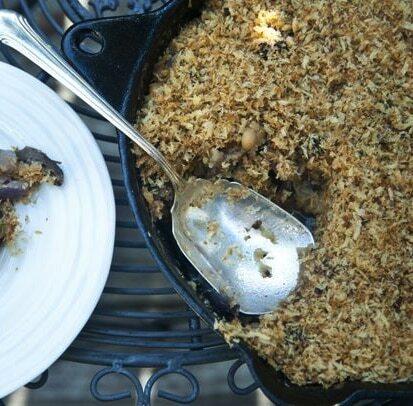 Bring the joy of camping indoors and into a pan that you can share (or just eat up all by yourself!). 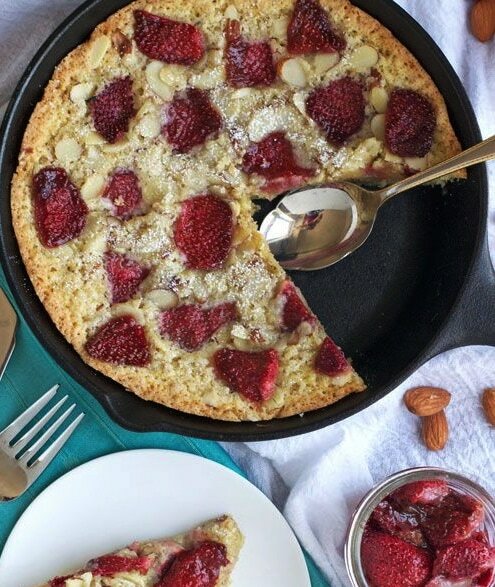 Strawberry Almond Skillet Cake. A sweet treat with extra sweet strawberries. 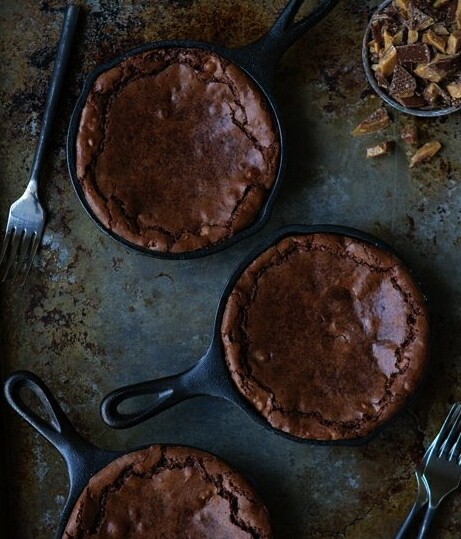 Individual Skillet Brownies. That’s right, they’re made just for you so you don’t have to share with anyone. Plus, you get extra side pieces which are always the best right? Now that you have all of these delicious skillet recipes to try, you’re going to need a sure-fire way to clean up that pan. Unlike what some people may think, you should NEVER, I repeat, NEVER let your cast iron pan be touched by soap or water. So here’s a little video showing you the right way to clean your favorite cast iron skillet.